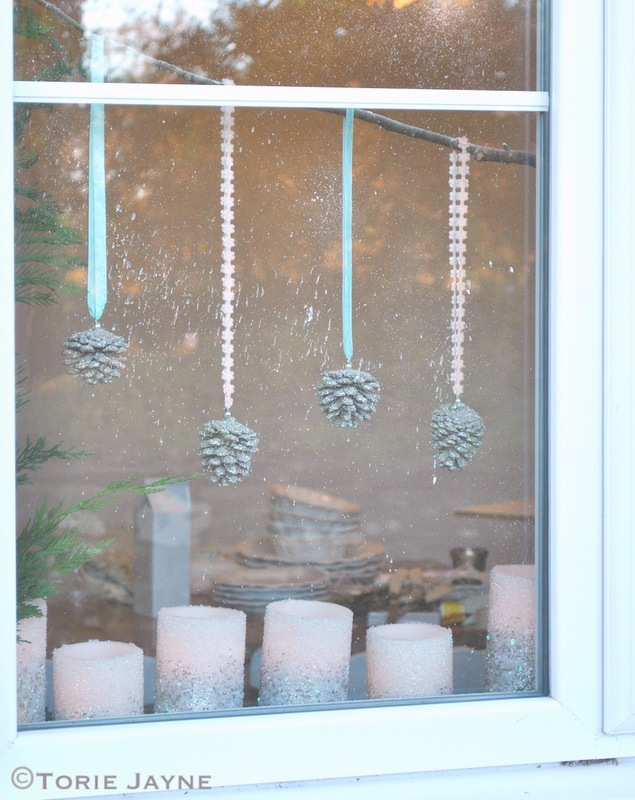 My initial idea was to cover my window sill in the battery lit candles and glitter pinecone decorations, surrounding the window in the star string lights and hanging the beaded snowflakes in the window using wire. 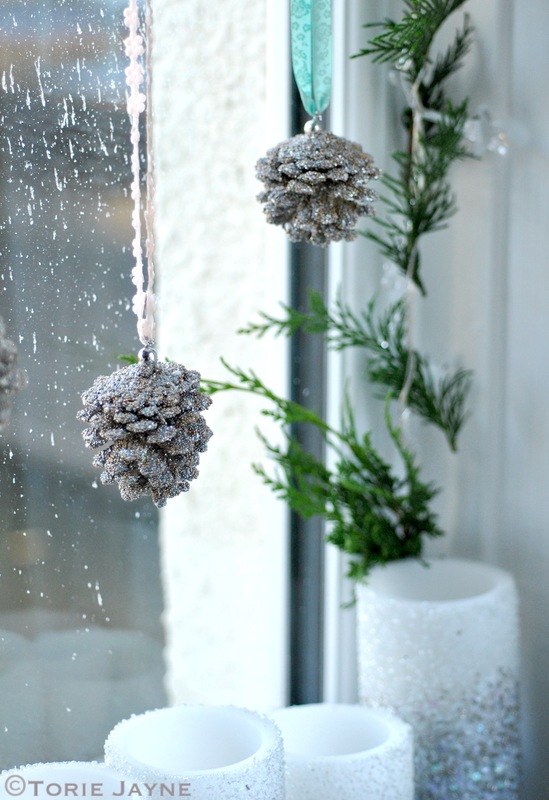 Deciding it needed a touch of greenery, I added fresh sprigs to the windowsill and to the star lights around the window…. 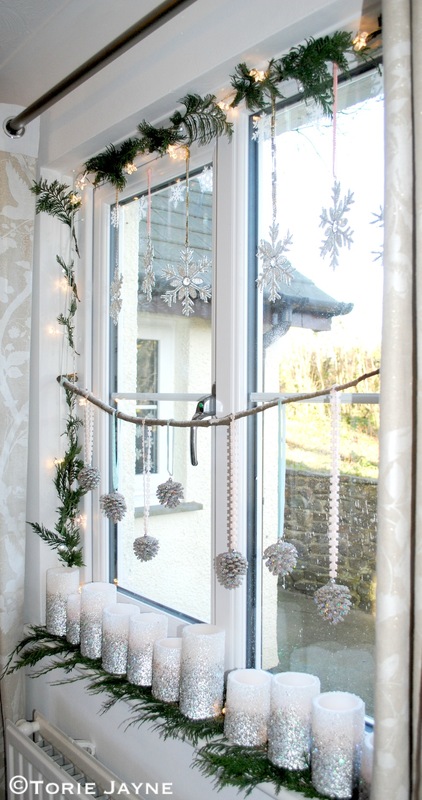 Next, I suspended a wooden branch sprayed with decorative snow using mint coloured wool. 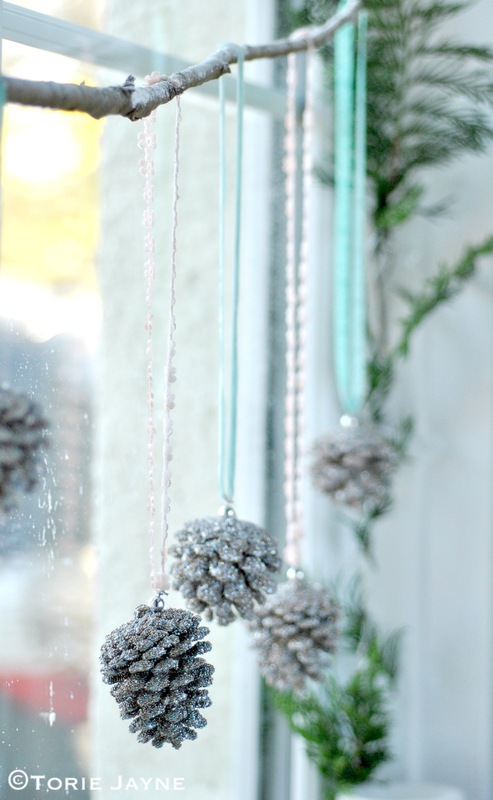 Adding pretty pastel touches, I hung the pinecone decorations from the branch using soft peach and mint ribbon that I had hand-stitched together. How fabulous does this look? It really is the most magical time of the year! 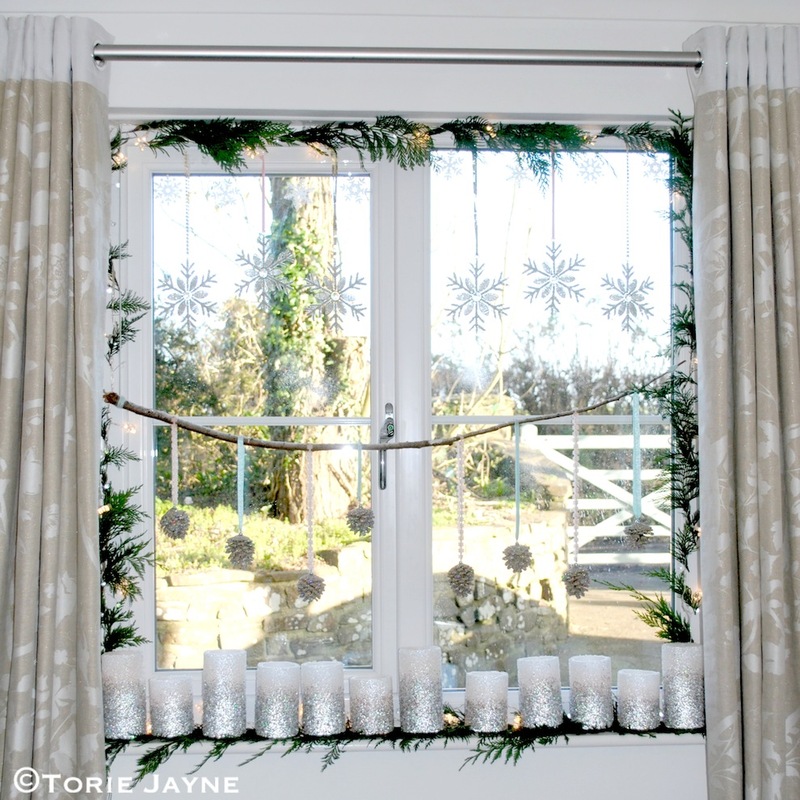 For more of Torie’s festive inspired ideas and crafts, make sure to bookmark her blog (it’s one of our all-time favourite reads!). 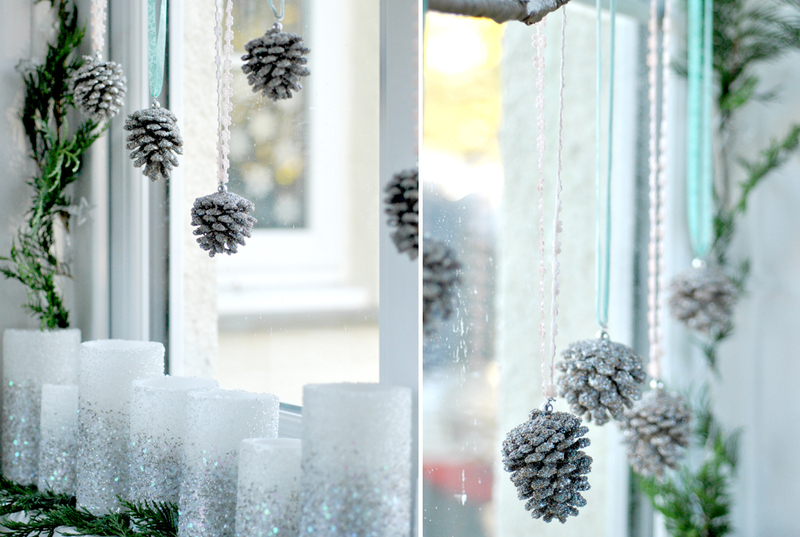 For Christmas decorations to treasure, transform your home into a winter wonderland with the Laura Ashley festive shop. 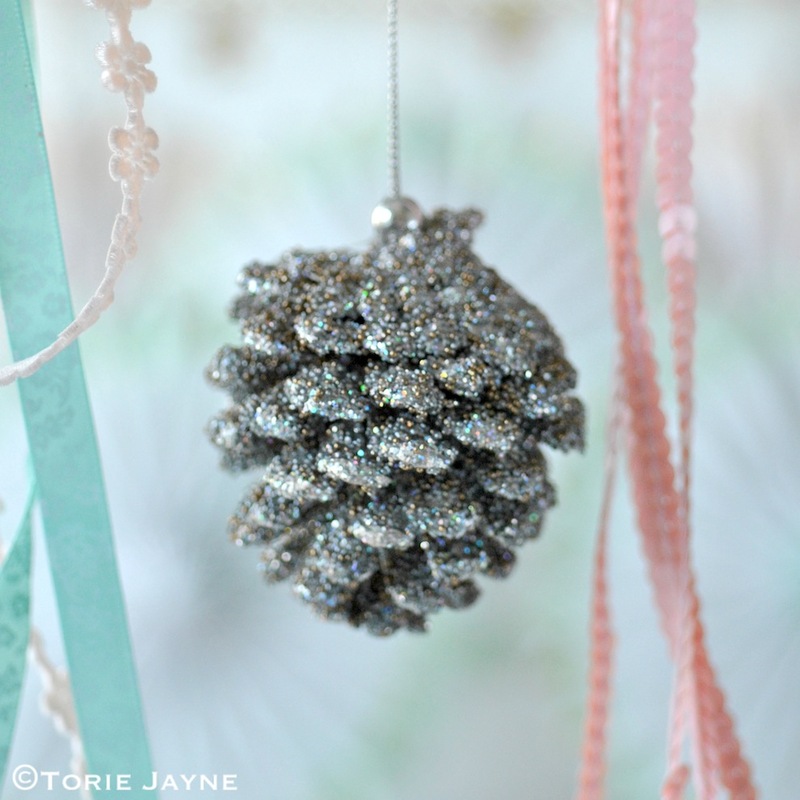 I love the glittery pine cones hanging from the branch. What a beautiful idea! 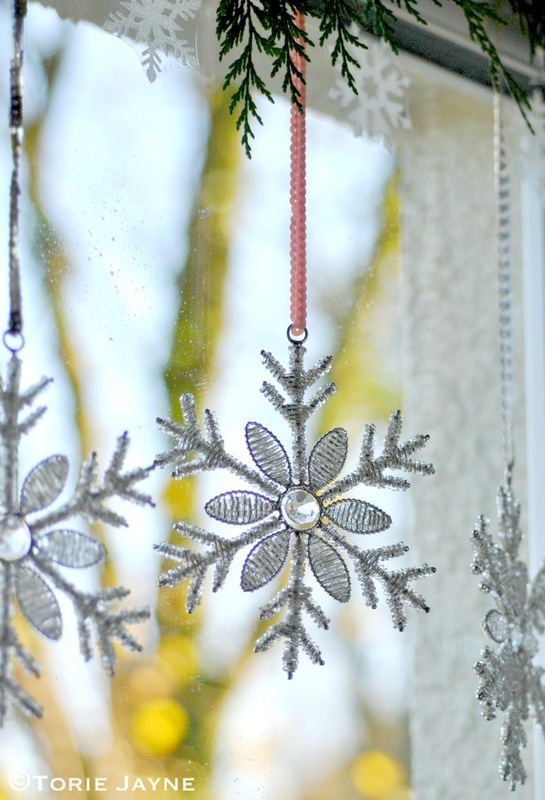 Love everything about this winter wonderland theme. I love it. 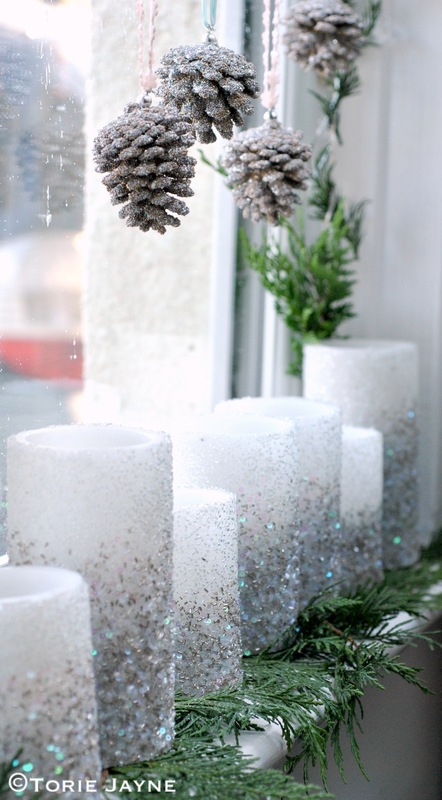 and perfect for Christmas time. Love it. It is very heartwarming. Thank you for creating it.